Lung cancer makes up one of the main causes of cancer death across the globe. Most of the lung cancer cases are due to smoking. Lung cancer is caused by the cells that do not function normally or grow into an unhealthy tissue. It is recommended that if you feel that you have symptoms of lung cancer, then visit your physician immediately. The doctor is in a better position to evaluate your medical history and assess any of the risk factors at hand. Then if a physical examination is necessary, can you use x-ray to detect lung cancer? The answer is yes. 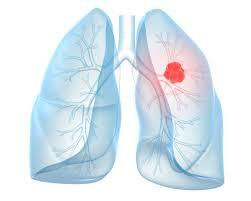 The chest X-ray is used as the initial diagnosis of lung cancer. Most of the tumors appear as a white-grey mass on the x-ray. However, you should note that the x-ray cannot give a final diagnosis because it cannot differentiate between cancer and other conditions such as lung abscess. If the chest x-ray indicates that you could be suffering from lung cancer, then you should seek help from a specialist immediately. A lung cancer specialist will carry out more tests to determine if the white-grey matter seen is cancerous cells. Moreover, chest x-ray does not give adequate information in diagnosing lung cancer at the initial stages. When lung cancer tumors are able to be seen on the x-rays, it is usually at an advanced stage, which means the lung cancer ia hardly curable. Now you know the answer to "does lung cancer show on x-ray" but can other tests be used to diagnose lung cancer? CAT scan or what is commonly called computerized axial tomography is a scan that covers the upper abdomen and the chest. It is used in diagnosing and staging cancer. In some situations, the back or the head of the patient may be scanned if the symptoms presented are indicative. CAT scan is a different type of x-ray, which incorporates computer processing to give detailed information and picture of the blood vessels and lymph nodes on the chest and lungs that normal x-ray cannot show. The doctor will be able to make an exact evaluation of the extent and size of the tumor and whether the vital organs have been affected. In some cases, the patient may be asked for sputum sample which is then examined under the microscope for cancer cells. This technology can identify specific cancer cell type and does not involve invasive testing. Inhaling moisturated air can help to cough up sputum. Does lung cancer show on x-ray? Does it show on biopsy? Both yes. In biopsy, suspicious fluids or tissues are removed from the system and examined under a microscope by a pathologist. This procedure is effective in determining the type of lung cancer and the presence of cancer on the lungs. Biopsys is carried out on the tumor of the lung but it may also be carried on lymph nodes and chest lining tissues. This type of imaging scan utilizes magnetic fields in creating clear body part images of bones, nerves, muscles, and tissues. The images produced by the scan show the presence of tumors. It is the most sensitive test used in identifying the spread of cancer in the brain. This type of imaging scan can be used to show if the lung cancer has spread to different parts of the body. Cells utilize glucose for energy to work and the cancer cells usually use more glucose than the regular cells. A unique sugar solution is injected into the patient’s system through the vein and the solution will collect in the area where there is high activity, brightening up on the scan. Besides wondering "does lung cancer show on x-ray?" you may also want to know the treatment options if you are diagnosed with it. Wedge resection removes a tiny section of the lung which contains the tumorous cells along with a margin of healthy tissue. Segmental resection refers to the removal of a large part of the lung but not the whole lobe. Lobectomy refers to the removal of the whole lobe of one lung. Pneumonectomy refers to the removal of the whole lung. The surgeon may also remove lymph nodes from the chest for a further test if they are cancerous. Lung cancer has numerous risks such as infections and bleeding. Shortness of breath is a common symptom after surgery. However, the condition will be better over time as the lung tissue expands to allow more air to get into the lungs. This is the use of drugs to kill the cancerous cells. Many or one drug can be given through the vein or taken orally. A combined therapy is given through a series of treatment, usually lasting weeks or months. Chemotherapy is often applied to kill any cancerous cells that may have remained after the surgery. In some cases, it can be used early to make it easier to remove cancerous cells during surgery. This treatment uses high-energy beams which originate from protons and x-ray to kill the tumorous cells. The therapy can be directed at the lung cancer from the exterior part of the body or it can be put inside using needles or catheters. Radiation therapy is used to kill cells that may have remained after a surgery is completed. In some cases, it can be used as the first treatment for cancers that cannot be removed during surgery. It can also relieve pain and other symptoms at the stage of advanced lung cancer. Last Stages of Lung Cancer: What Can You Expect?